Are you looking for a lost cat? Go to the Lost Cats of Wisconsin Facebook page to file a report. They will make you a free flyer that you can print and distribute. They will also share your post on their page. 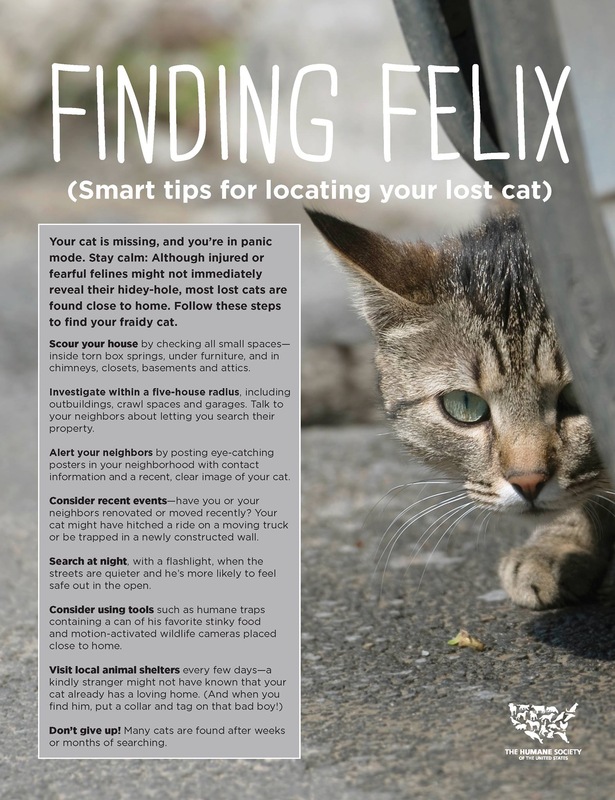 The website Cats in the Bag has some very good search tips for both indoor & outdoor cats. Here are some tips from Animal Sheltering magazine.